Opposite is a pic of tent and waterfall chandelier of ours, the arms are hollow and have wires inside, this means that either the arms were made for gas lights (as was this one- Circa 1860) and made up or stored on the shelf to be adapted on the advent of domestic electric light (1890) or - the light was made for electricity and so would date from around 1905 onwards, those who watch Downton Abbey will note (set 1911) that the dowager countess commented that the new electric chandeliers made the place look like a casino. Often gas chandeliers were adapted at the turn of the century using gasoliers and their parts. If a chandelier has a thick central stem and rather bulbous central metal parts sometimes with taps or the remains of taps then it is probably a gasolier. 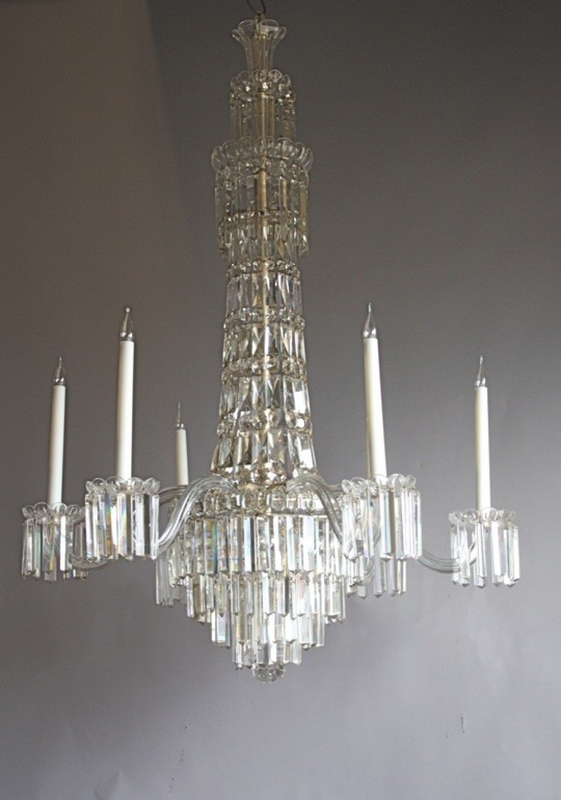 This cut glass chandelier has no candle carriers which also indicates it was made for gas, the mantles and burners thrown away when adapted. Buying unwired or unrestored antique lighting is fine as long as it is then properly rewired and tested and there are various companies on google who will do this including ourselves, its always good to talk to a restorer about how you would like to see the light , the colour and length of the candle tubes see opp we sometimes do black for instance. 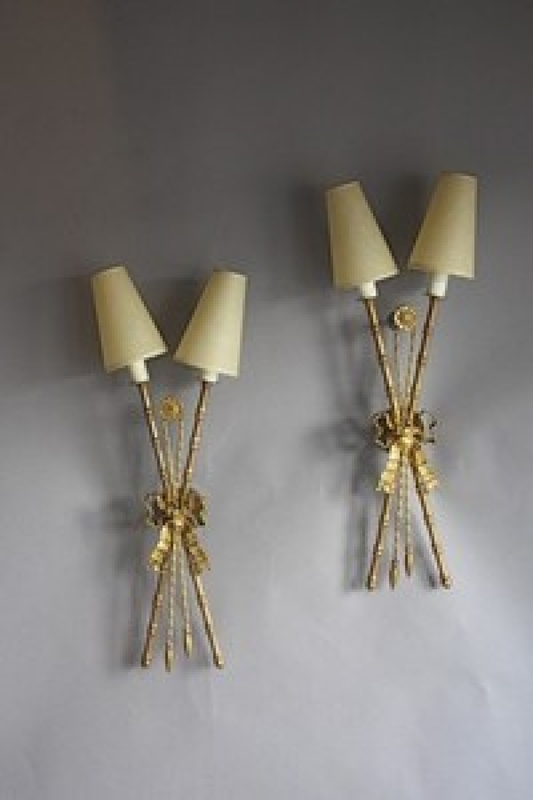 Antique wall lights should always be bought bearing in mind the exit point of your wires in the wall, and antique sconces may have wires protruding at the top, middle or bottom of the light and although there is always some leeway it is advisable to check your heights as no one wants a wall light to high or too low or a big mark in the wallpaper . Hanging a new chandelier in a dining room for Christmas is always fun, the height should be lower than normal above the eye line of the seated diners but lower than in a sitting room, so that when the doors open and everyone troops into Christmas lunch they all get a wow factor from the chandelier.